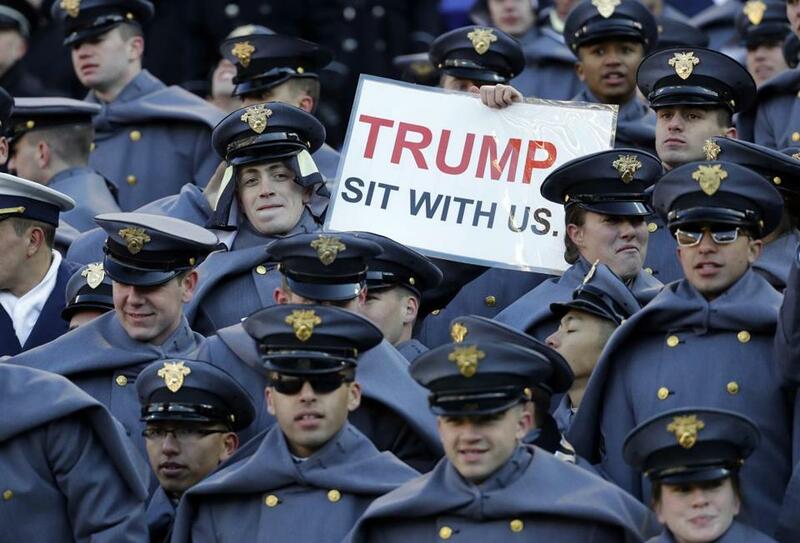 An Army cadet displayed a sign for then President-elect Donald Trump in the first half of the 2016 Army-Navy NCAA college football game in Baltimore. President Donald Trump will attend Saturday’s Army-Navy Game in Philadelphia. The White House confirmed Trump’s attendance to The Associated Press on Tuesday. Trump also went to the 2016 game when he was president-elect. Trump will be the 10th sitting president to attend Army-Navy, a tradition that began with Theodore Roosevelt in 1901. Barack Obama was the most recent president to attend the game, in 2011 at FedEx Field in Landover, Md.